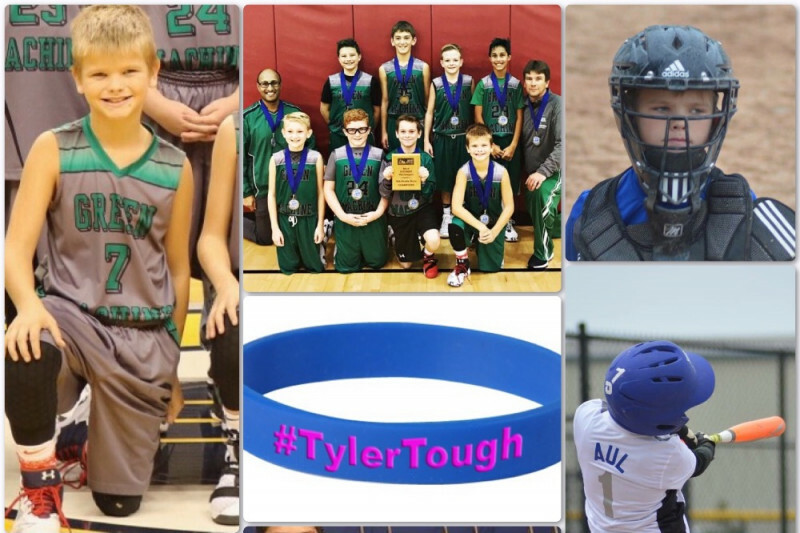 Tyler Aul is an eleven year old bright, energetic, very athletic kid that always has a smile on his face. He is adored by all that meet him. His hugs and affection abound. While he loves sports, to Tyler nothing is better than fishing with his dad or snuggling his mom. Approximately one year ago, Tyler began experiencing seizure like symptoms. During the course of multiple ER visits and a hospitilization, Tyler was found to have a left temporal lobe tumor. After consultations with multiple specialists at Riley Hospital in Indianapolis, it was determined that this was likely a benign tumor, but needed to be removed. 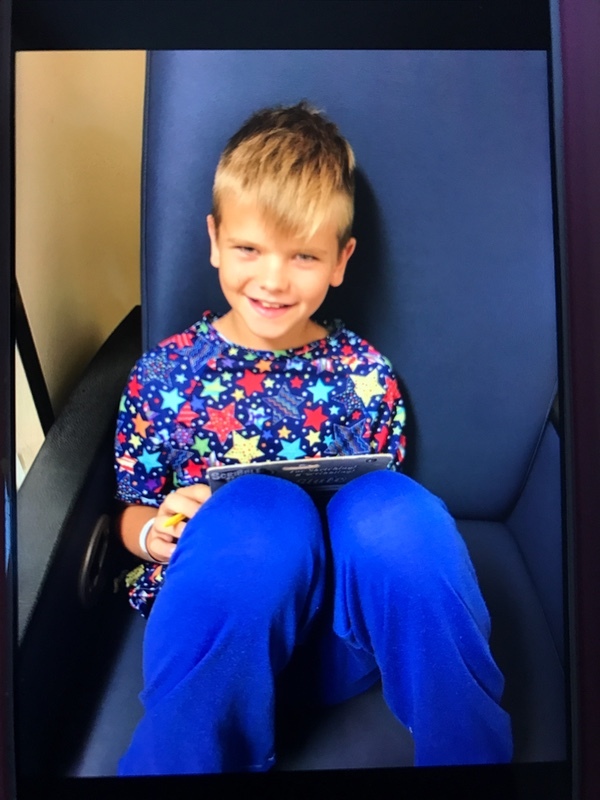 On Thursday, May 25th, Tyler went in for the routine procedure of removing the tumor. Unfortunately, during what was supposed to be a routine procedure, there were complications, and it ended up being a sixteen hour procedure. During the surgery, another neurosurgeon was asked to assist as the situation became critical and life threatening. After twenty-one units of blood and hours later, they were able to get the bleeding to stop. The surgeons only explanation was that Tyler wasn't willing to give up, so neither would they. Those that know him, know that he's a fighter and pursues life in general with passion. Tyler is currently in the intensive care unit of Riley in a medically induced coma due to the brain swelling. At this time we do not know what his prognosis is, but we are all hopeful and praying for a full recovery. As the days pass, it is known that he will need extensive physical, occupational, and speech therapy. 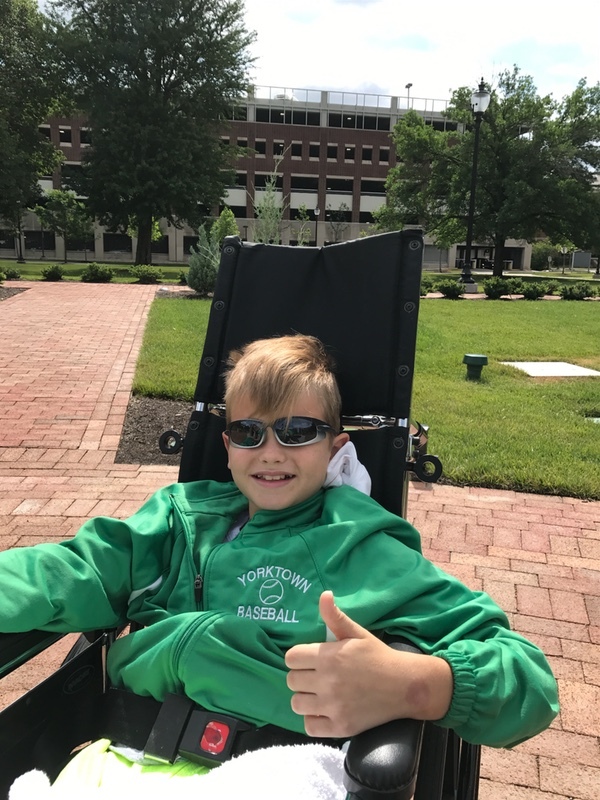 Tyler's parents, Jen and Norm, are a vital part of the Yorktown Community. They volunteer thousands of hours each year in coaching, raising money, and developing the youth of our community. Norm works for the IT department of Marsh Supermarkets and Jen is a nurse at IU Ball Memorial Hospital. Tyler has two sisters, Madeline and Sophia, both in high school at Yorktown. They are a community focused family, as evidenced by Norm's text to friends during the surgery requesting they pray and hug their kids. Our goal is to raise $50,000 to cover the costs of health insurance deductibles, surgery, therapy, ICU, travel, and hospitalization. Will you please join us in giving back to a family that has already given so much to so many? Tyler was released from Riley rehab unit last Wednesday and is enjoying being home with Norm, Jen, Madeline and Sophia. He will continue with speech and physical therapy several times per week. He is making incredible progress everyday and doctors are very hopeful that he will make a full recovery. Thank you everyone for your continued prayers and well wishes, Tyler has been overwhelmed with all of the support he has received! We have more updates for everyone. Tyler is now on the rehab unit here at Riley Hospital. No more drains, no more tubes. He is considered medically stable now it's time to focus on therapy. He's doing physical, occupational & speech therapy twice a day. He has some issues with his vision being blurry when both eyes are open, so he's wearing an eye patch when up & moving around. He was very nauseated from the dizziness, not eating & had lost ten pounds. That is getting better with medication & a sea sickness patch on. He is walking with help, getting steadier. We were told it takes one day of therapy for every three days a person is immobile, so with twenty days in ICU he is where they expected him to be. He's also struggling a bit with speech. He has expressive & receptive aphasia, meaning he is a little slower to understand what you're saying to him & he has a hard time finding the words he wants to say. So right now he's having to relearn a lot, but they're telling us that is normal & will go quickly with the therapy. Tomorrow we will go on a field trip to the zoo to learn how to function in the "real world" with a wheelchair, although we're hoping that won't be needed by the time we leave. We had a meeting with his whole health care team today & they are all very optimistic. They are planning on discharging him June 28th if everything continues the way it's going. He'll need outpatient care, but at least we'll be home!! We just want to thank everyone again for the support. We can't put into words how much it all means to us. And now that we can talk to Tyler, he too is amazed by all of the kindness we are experiencing. We're able to go for short walks & enjoy the sunshine. We apologize for not updating everyone sooner but it's been a real roller coaster ride these last two weeks. For awhile it seemed like Tyler would take one step forward & two steps back. But it seems now we're finally making some real progress. He is still in the ICU but he is no longer on the ventilator, no longer sedated. He is awake & starting to talk some. He still has the drain in his brain but it is clamped, no longer worrying about the pressure or swelling. Hopefully after CT tomorrow that drain will come out. Now we're working on getting feeding tube out, he's starting to eat popsicles & ice chips. If everything continues to go well, he should be moving to the rehab unit for some extensive therapy. We still have a long way to go but we're far from where we started. Additional good news, the tumor result came back. The tumor was a juvenile pilicytic astrocytoma, technically a type of brain cancer, but a very low grade type that should not require any more treatment. He will follow up with an oncologist for a few years to make sure the tumor doesn't return. We want to thank all of you, for all of the amazing amount of love, support & prayers that we have received. When Tyler's surgeon spoke to us right after the surgery she told us three things saved him that night- his strength, a guardian angel & lots of prayers. So again thank you & please keep those prayers coming. Tyler getting ready to go into surgery. Since Tyler required 21 units of blood during his surgery, I'm wondering what you think about having a blood drive in Yorktown in his honor? So glad to hear . I got "God"bumps reading the update . God is good . The Rowrays continue to lift Tyler, family, and medical staff in prayer. Hoping you feel your community's prayers, love, and support. So happy to see Tyler back in the gym!! What an incredible journey! The entire community is celebrating your healing! This donation is a combination of a couple Shack events! Sorry for the delay!! Get well soon. Praying for healing.